Unfurnished 3 bed semi (main bedroom with fully fitted white wardrobes), within popular village location of Thorpe Hesley. Close to Wentworth Garden Centre, this property is available to rent from 14th June 2015. 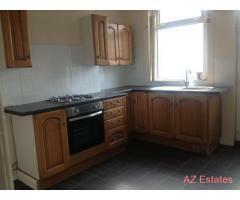 Fully carpeted, double glazed with fitted kitchen and tiled floor. Entrance porch to front of property. Bathroom with over-the-bath shower. Close to J35 of M1, so excellent motorway links to Leeds, Barnsley, Doncaster, Rotherham, Sheffield, etc. Attached garage (housing recently upgraded boiler) leads through to private lawned back garden with shed. 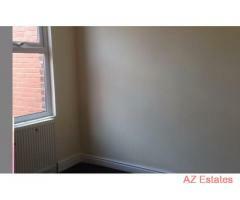 Tenant responsible for upkeep of garden, utility bills, council tax bills, etc. Suit professionals/young family. 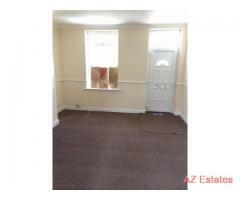 Close to excellent schools/bus route/Meadowhall/pub/village shop. No DSS please. Small house-trained pets welcome at discretion of landlord. Prospective tenants to provide 2 references and be subjected to satisfactory credit checks, costs to be met by tenant. Long term let preferred, based on 6 monthly contracts. 1 month cash deposit required in advance. Group viewings by arrangement evenings/weekends. EPC available on request. Phone 07983 268628 for further details.